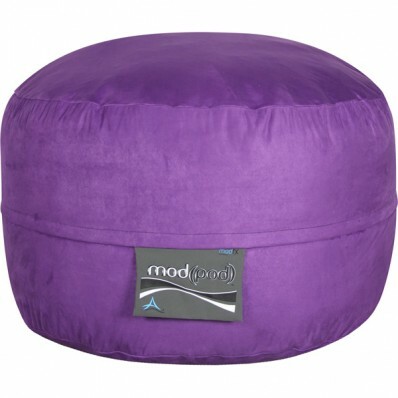 If you are looking for an interesting addition to your casual furniture motif, try the Mod Pod ModFX Junior 3 foot lounger in beautiful purple. This colorful addition to your junior furniture or adult furniture collection will provide comfort, durability and fun for the whole family! Try a soft suede purple bean bag chair in place of a small sofa or loveseat for versatile seating options that everyone will enjoy. The soft, durable outer cover in bright purple adds a splash of colorful fun and excitement to your den, playroom or family room, and the cover is easy-clean—just wipe with a damp cloth. 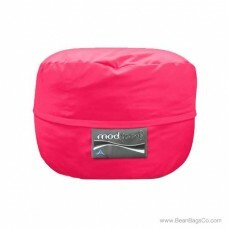 The eco-friendly fiberfill is made of 100 percent recycled material that supports you with an ergonomically-designed foundation for back and neck health. 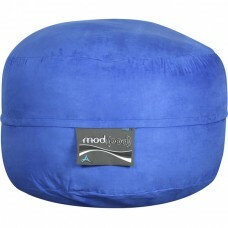 This smart solution bean bag lounger will be your favorite seat for years to come as you watch television, read, or relax in your favorite spaces. 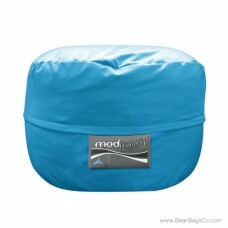 Your whole family will enjoy this fun and friendly seating choice! 33" x 33" x 22"